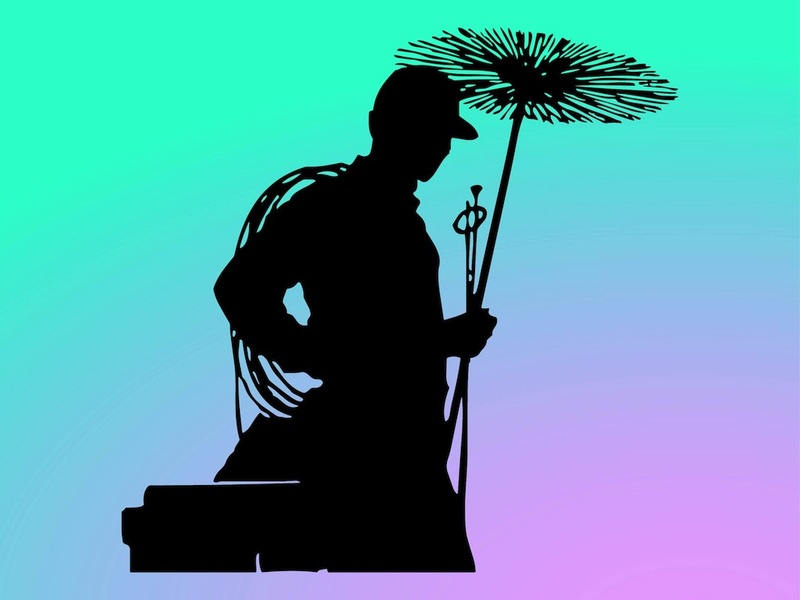 Vector illustration of a chimney sweep silhouette. Man carrying various accessories and brushes used for cleaning chimneys. Upper part of a chimney next to the man’s hip and baseball hat on his head. Free vector illustration for all kinds of traditional jobs, chimney cleaning and superstitions projects. Tags: Accessories, Brushes, Clean, Cleaning Vector, Man, Rods, Rope.